I ragazzi del Tessitore: What is World Teachers’ Day? 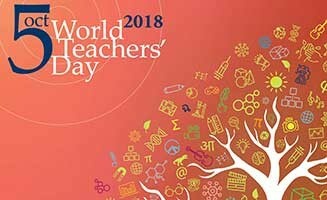 World Teachers’ Day is a UNESCO initiative celebrated in more than 200 countries worldwide, which aims to highlight the contribution teachers make to society. This year’s theme, “The right to education means the right to a qualified teacher”, has been chosen to remind the global community that the right to education cannot be achieved without the right to trained and qualified teachers. Even today, a continuing challenge worldwide is the shortage of teachers. There are an estimated 264 million children and youth still out of school globally. To reach the 2030 Education Goals of universal primary and secondary education, the world needs to recruit almost 69 million new teachers. This ‘teacher gap’ is more pronounced among vulnerable populations, such as girls, children with disabilities, refugee and migrant children, or poor children living in rural or remote areas.